A Dutch lawyer who is the son-in-law of a Russian oligarch was sentenced to 30 days behind bars Tuesday morning — the first person jailed in special counsel Robert Mueller’s ​probe into Moscow meddling in the 2016 election. 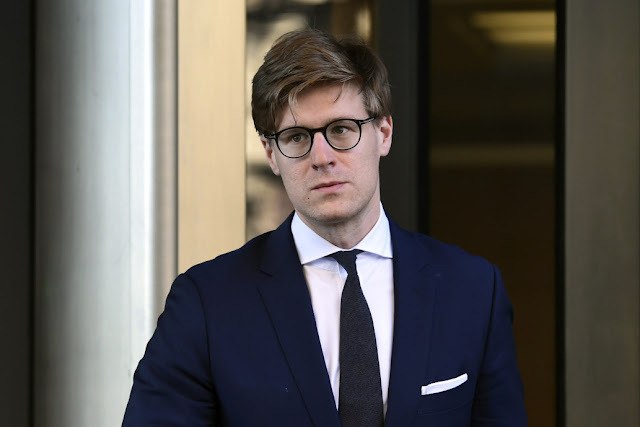 ​Alex van der Zwaan, who has no known ties to the Trump campaign, entered a guilty plea in February on charges that he lied to federal agents and was sentenced in federal court in Washington. ​Van der Zwaan, 33, lied to Mueller’s prosecutors about his work in Ukraine with former Trum​p campaign chairman Paul Manafort and his business associate Rick Gates. In court papers, Mueller referred to the officer as “Person A,” who reports later revealed was Konstantin Kilimnik, a Ukrainian business contact for Manafort and Gates. Manafort has pleaded not guilty to charges of conspiracy, money laundering and tax evasion. Gates pleaded guilty in February and has been cooperating in Mueller’s probe. Van der Zwaan is married to the daughter of German Khan, a billionaire who owns Russia’s largest financial investment company, the Alfa Group. He is expected to be sentenced to six months in prison as part of a plea agreement. He faced a five-year sentence.